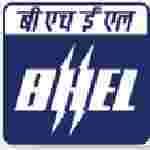 BHEL Trade Apprentice recruitment 2016-17 notification apply online : Bharat Heavy Electrical limited (BHEL) welcomes application for the position of trade apprentice vacancies on contractual basis. Candidates who completed their ITI is a good opportunity.The individuals who are the occupation seekers searching for govt employments in Andhra Pradesh this is the best chance to apply. Competitors read the official notification then read all the guidelines and miners precisely then apply before the last date online application got. All the interested and eligible candidates can apply online before 15th September 2016. All the Eligible and Interested Aspirants can apply online on or before 15th September 2016. The details regarding this Recruitment, Educational Qualifications, Age Limit, Pay Scale, and Selection Procedure are available at the official website .This is the precious opportunity for those candidates who are eagerly waiting and preparing hardly for Central Govt jobs. Candidates should have ITI / NCVT certificate in relevant discipline. Candidates may apply online though official website of Bharat Heavy Electrical limited (BHEL) http://www.apprenticeship.gov.in on or before 15th September 2016 and send hard copy along with relevant documents to Manager / HR – RMX, HRM department, Ground floor, Administrative building, Bharat Heavy Electrical limited (BHEL), RC Puran, Hyderabad, – 502032 on or before 17th September 2016. Important Dates: Last date for submission of online application is 15th September 2016. Last date for the receipt of application is 17th September 2016.